Cuz Cussen is a man on a mission to raise an incredible £100,000 for St Luke’s through his annual music extravaganza for our charity. So, get ready to rock to fantastic live bands at Crash Manor in Plymouth, knowing you’ll be part of fantastic fundraising that helps our compassionate care reach further. 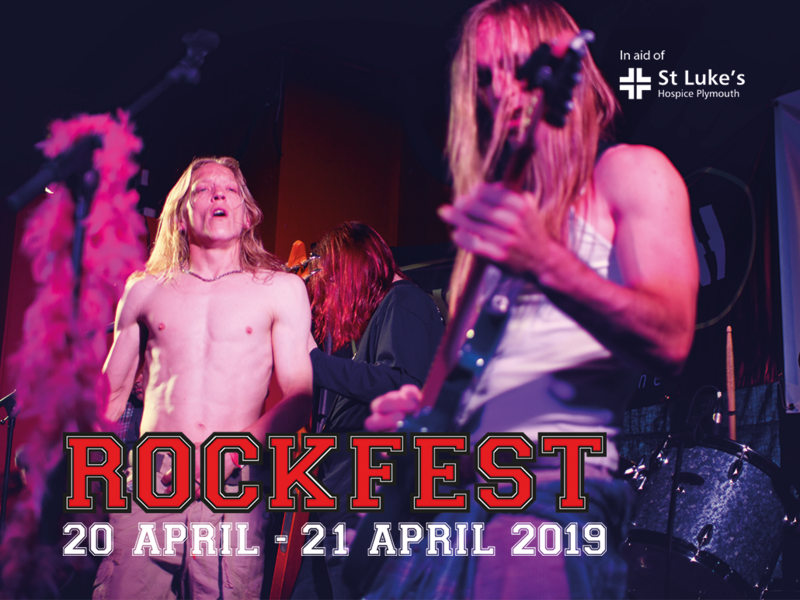 Following the care his much-loved mum received from St Luke’s, Cuz has already raised nearly £90,000 – let’s help him achieve his £100,000 goal while soaking up the amazing atmosphere with tons of bands covering everything from rock and reggae to punk and metal. As well as enjoying the live music, you could win an amazing prize in the Rockfest raffle. Check out the official website for this year’s line-up.